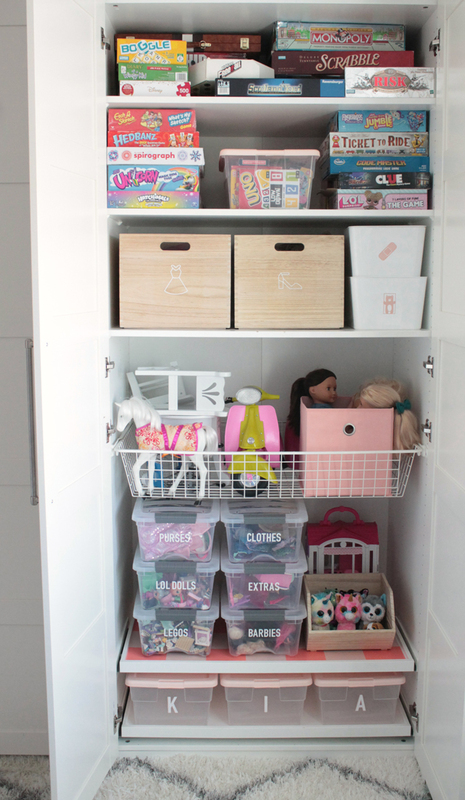 Creating an organized space for your kids’ toys and games will help them to keep it clean! 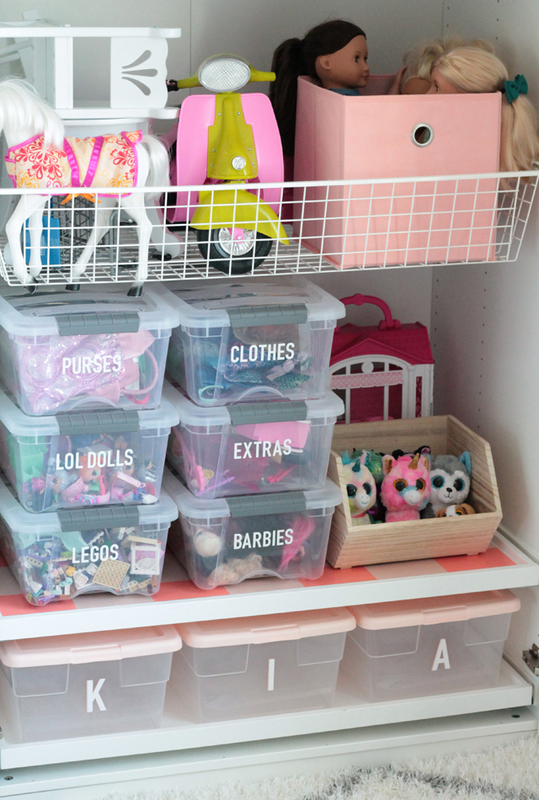 We are sharing some Kids Toy Bin Labels to help you keep things tidy, and some of our favorite tips for simple Kids Closet organization. One of the spaces in my home that I’ve been wanting to tackle for a while now is the upstairs loft, which also doubles as a playroom. We’ve lived in our home for a few years now, and one of my favorite things about the upstairs is the IKEA Pax wardrobe closet system the previous owners installed. We have 3 closets built in, one is used for my craft and staging supplies for blogging, one is a linen closet, and the last one is used for my kids toys and games. I bet you can guess which one is the messiest! Yikes, right?? 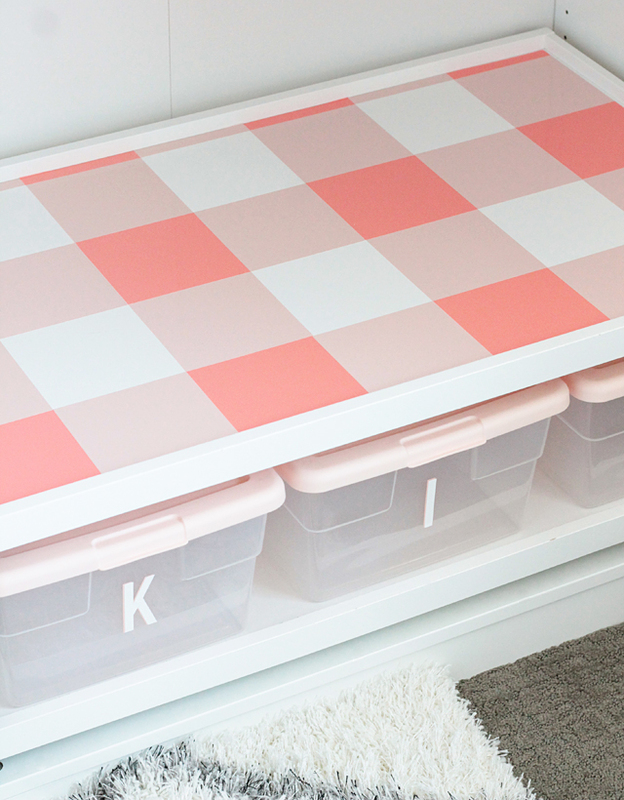 It was a mish mash of old storage bins and plastic shoe boxes and not everything had a place to be put away. The big wire drawer ended up being a catch all for everything when my girls were cleaning up by themselves. I didn’t really have any way for them to know where things were supposed to go, and every time I opened this closet I cringed! 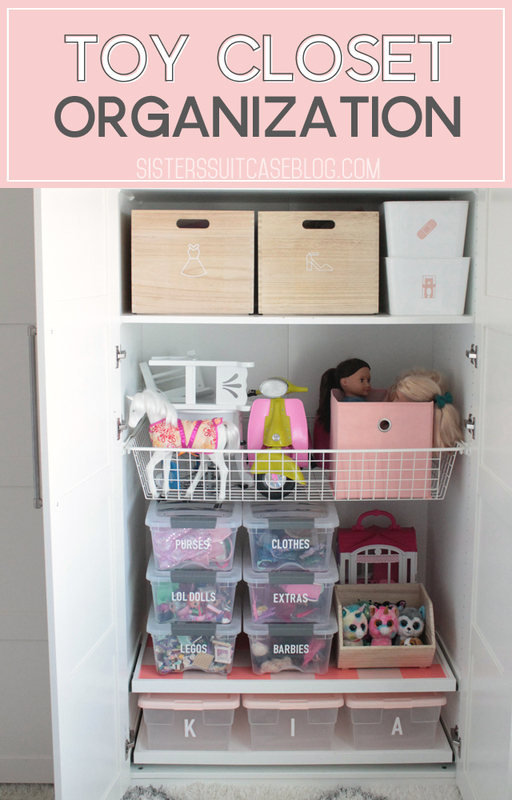 Here are some tips I learned as I tackled organizing this closet. First, I pulled out all of the toys and games that they use almost daily and put them in a pile. Everything else either went to a donate pile, packed away to storage, or thrown out! I filled about half a garbage bag of trash! Try not to be sentimental when it comes to your kids toys, they will be fine without them! Having a few of their favorite and most used items will actually be easier for them to manage, both physically and mentally. Too many things surrrounding kids and making a mess can give them just as much as anxiety as it gives you! 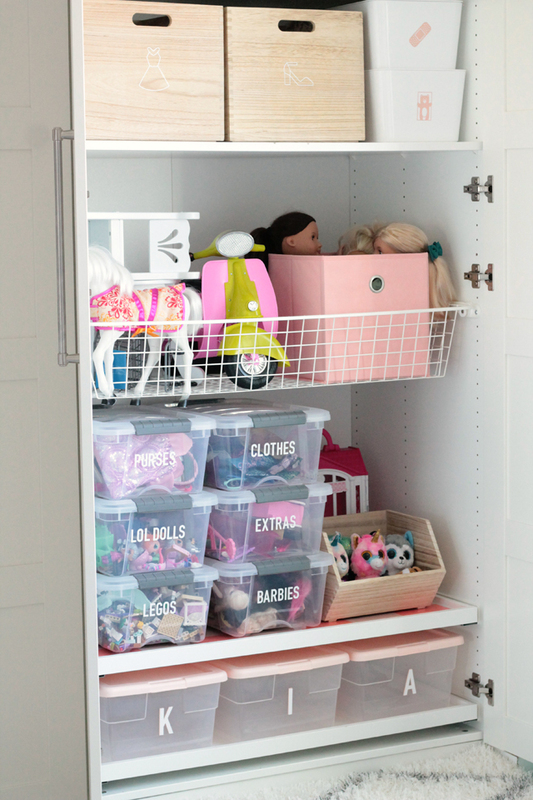 Be strategic about where things are kept in the closet – make favorite toys easily accessible! When deciding how to organize the toys I was keeping for my girls, I chose to put the items they play with most often on the two lower shelves, where they can get them out easily. I also put the things that I don’t want them getting down without my help, up on the higher shelves. 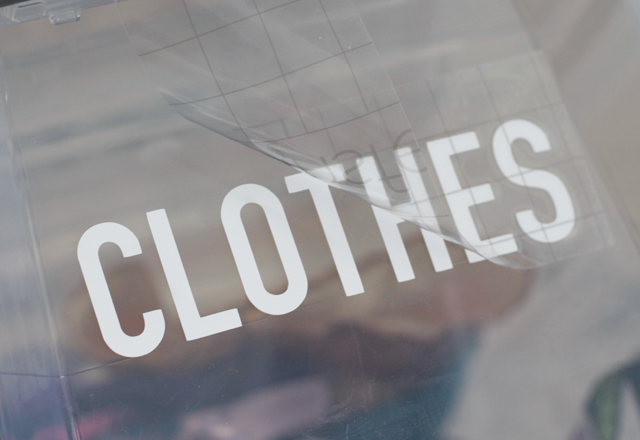 One of the biggest disasters in their closet was a huge bin of dress ups. Every time friends came over, that bin was pulled out and dumped and there were dresses, shoes and crowns everywhere! I decided to get rid of the large bin and split them up into dresses and accessories. I also got rid of some of the dress ups that are too small or really worn. Using these wooden bins, which are a little more sturdy, makes it so they will have to ask for help to get them down and I will have a little more control over the mess! 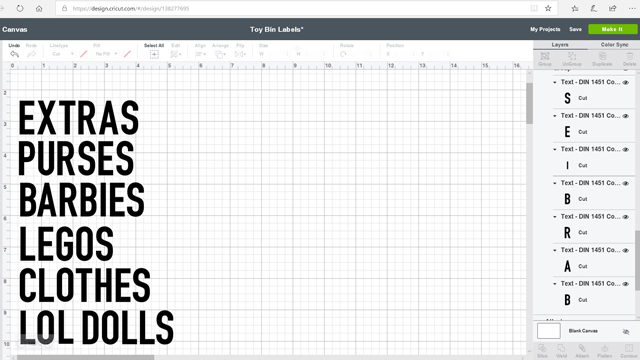 Next, you can edit the text and size to fit your own containters, and change the color on the new toolbar at the top, next to where it says, Linetype – Cut. I changed mine to white to match my color scheme and to stand out on the clear containers. 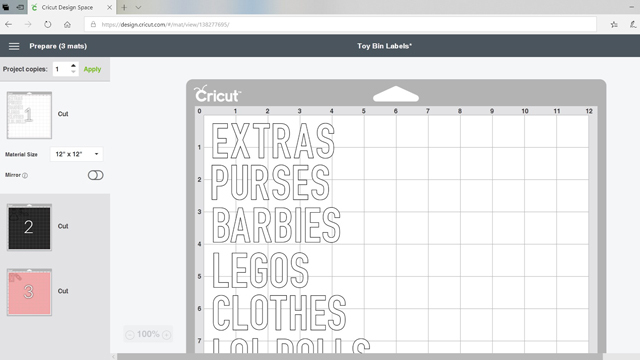 When you are ready, hit Make it in the top right corner of your screen, and follow the prompts to select your material. I attached the words so they would cut nicely in their own separate rows, perfect for slicing into strips for the labels. Once your vinyl labels are cut, it’s time to weed! 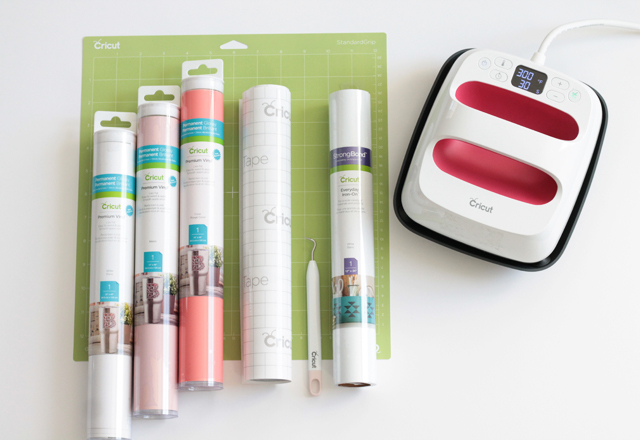 Now cut a piece of transfer tape the same size as your label and attach smoothly on top of the label. 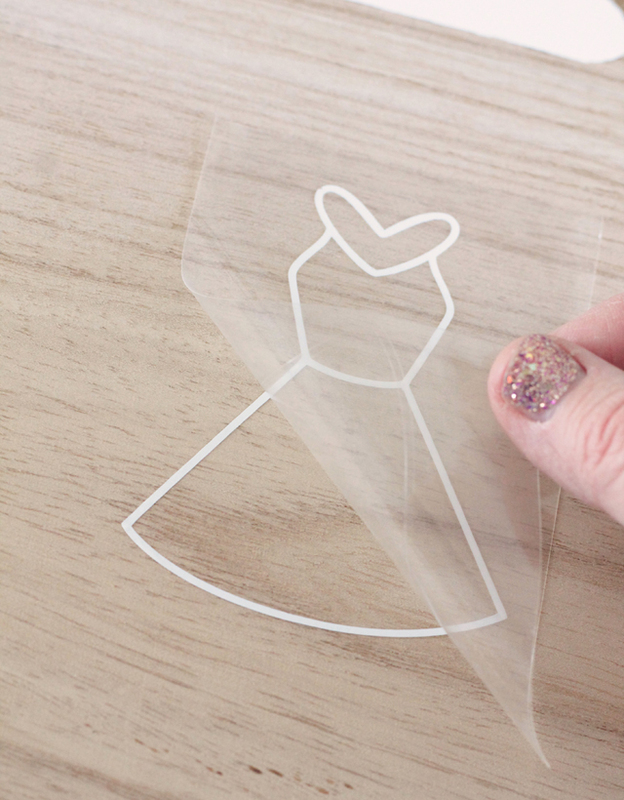 Rub over the back surface of the vinyl, and remove the backing sheet. 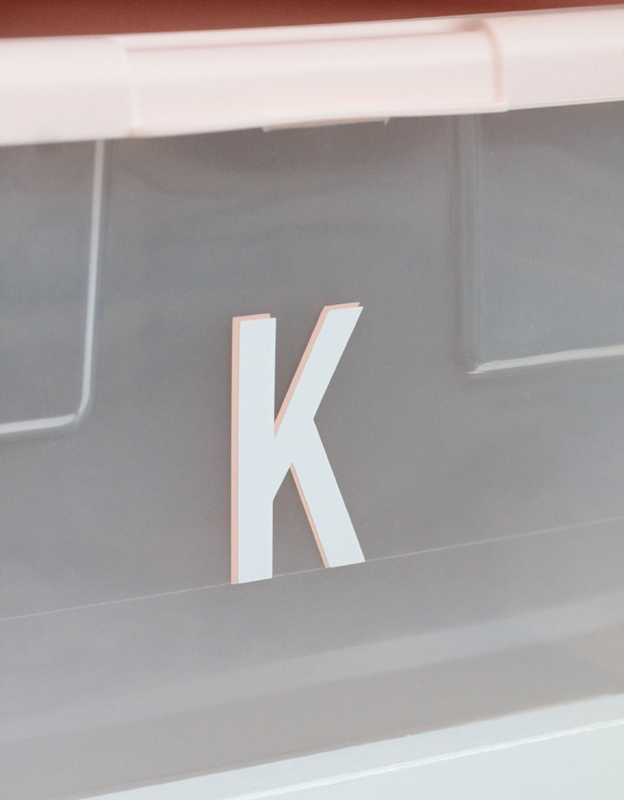 Your label is ready to adhere to the bin! Measure the center of the bin, or just eyeball where it looks good. 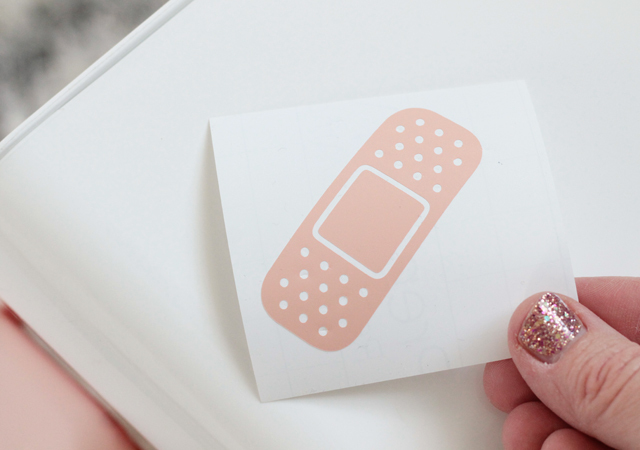 Use a scraper to rub over the transfer tape, ensuring the vinyl sticks to the container, then remove the tape carefully, from the bottom left corner. 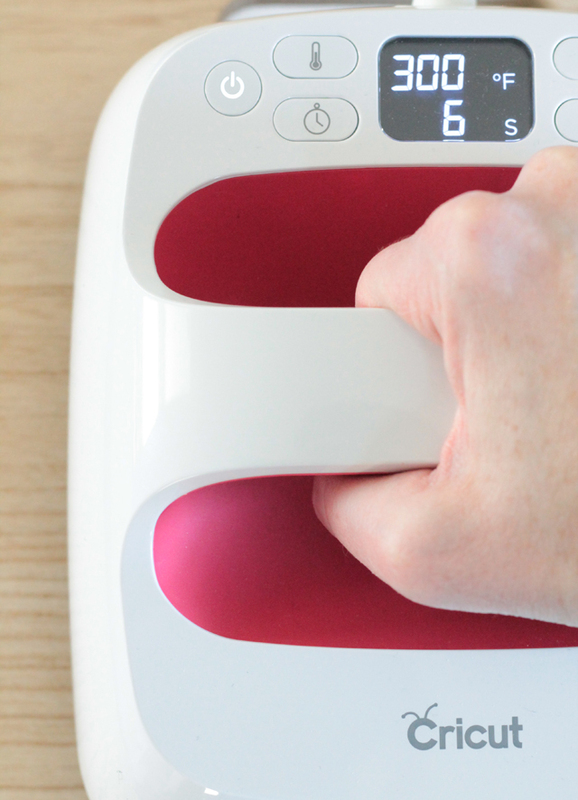 Repeat this process for all your labels! I love how the new bins look! And my kids like having everything where it should be. 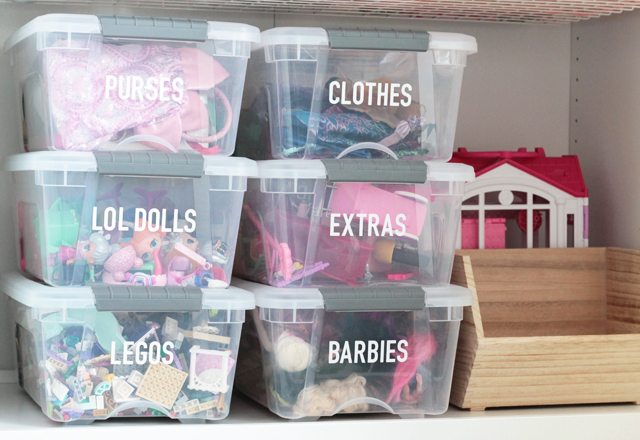 For everything that has a word label, I like to use clear bins so it’s easy for the kids to see what’s inside before they pull the bins down off the shelf. This is really helpful for my younger kids who can’t read. For solid containers, I like to create picture labels instead, it helps the kids who can’t read yet to know what is inside! 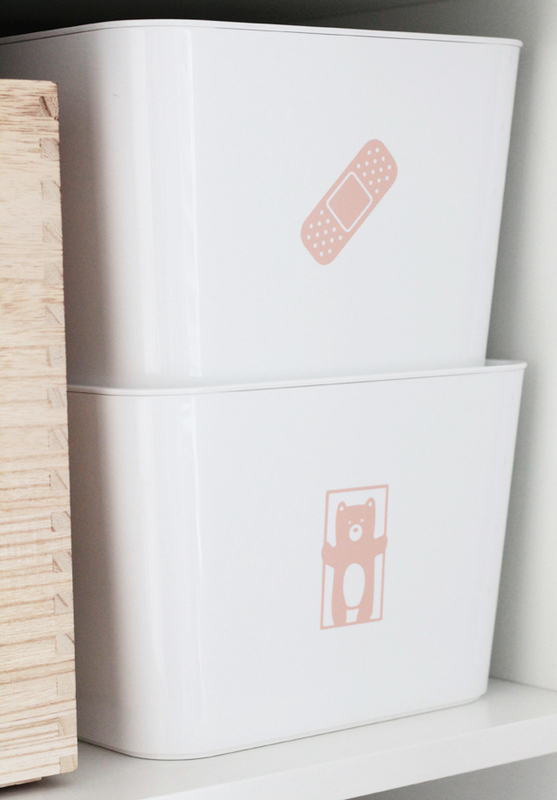 These picture bins have all the doctor stuff in one, and small animal figures in the other. 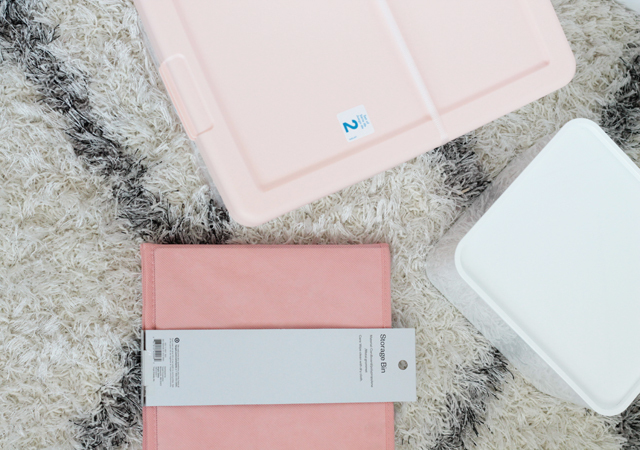 To create a beautifully organized space, you don’t have to spend a lot! 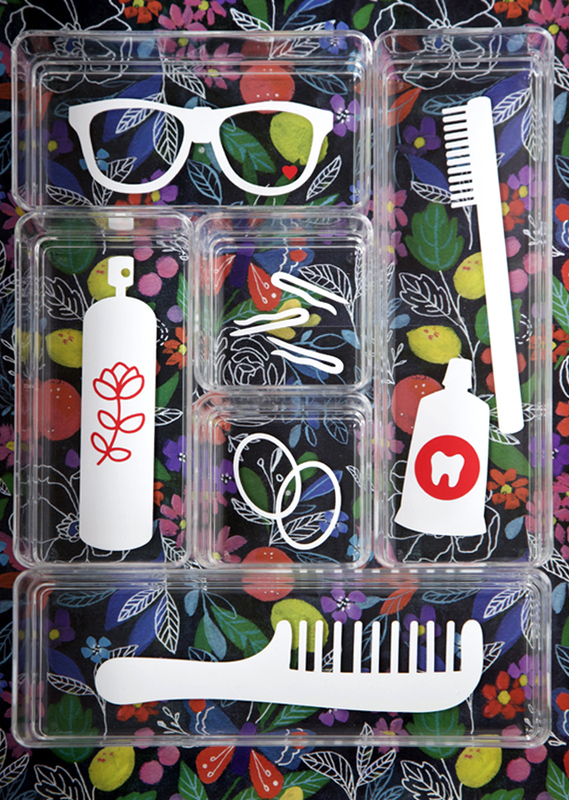 I repurposed these IKEA Pluggis containers I already had, just adding the vinyl icons makes a huge impact. I also used several of these 16 quart sweater bins with the darling peach lids, a 2 pack is only $5.89! I asded vinyl monograms to these bins for my 3 youngest kids, so they each have a bin for personal toys or treasures they want to save. 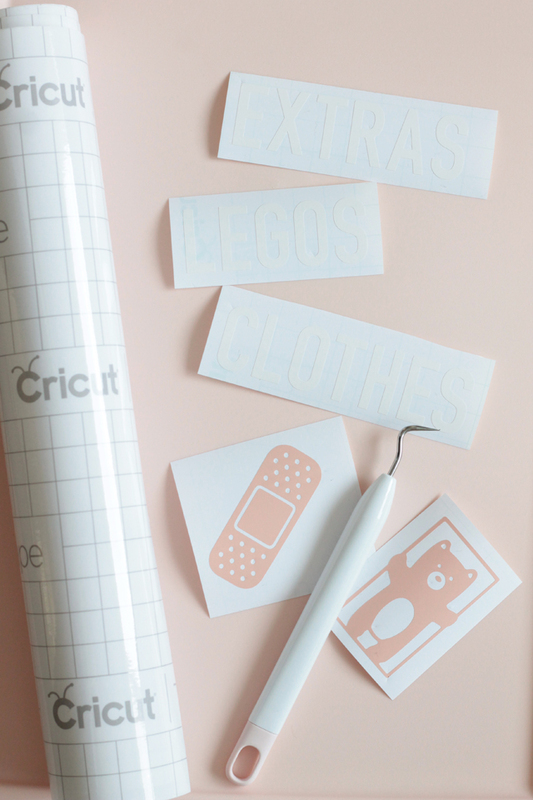 I also created my own DIY wallpaper with Cricut Permanent Glossy Vinyl on the pull out shelf of their closet. I wanted to add a pop of color and pattern to the closet without spending extra money. I’m obsessed with how it turned out and how simple it was! 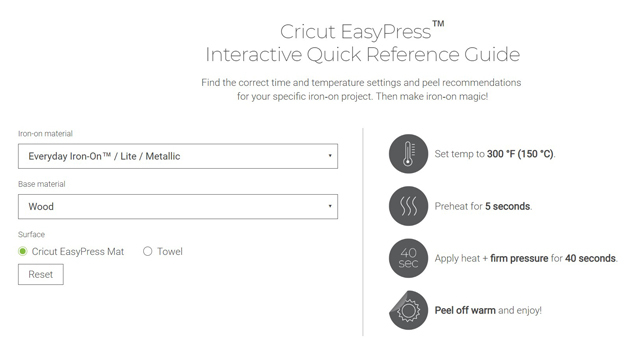 Would you guys like a tutorial on this in another post? 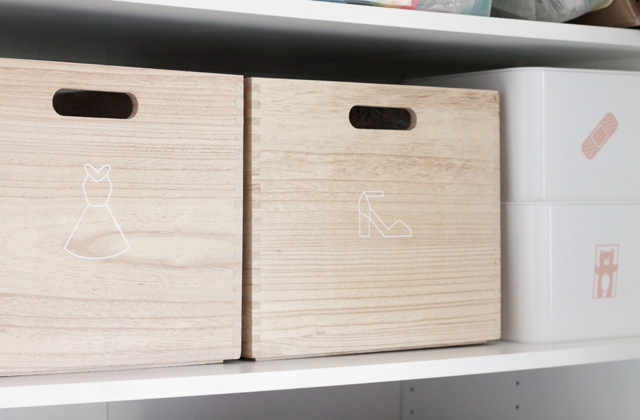 For the wooden dress up boxes, I used Every Day Iron-on vinyl because it adheres better to wood than adhesive vinyl. It was so easy to iron them on! 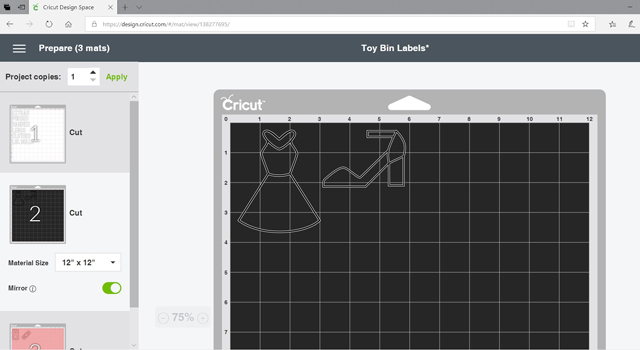 I found the cutest clothing illustrations in Design Space, and used the dress and high heel shoe. 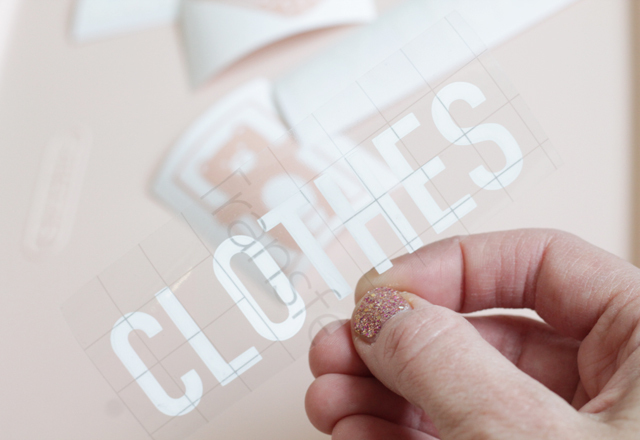 Anytime you are working with Iron-on vinyl, make sure you Mirror the design before you cut. 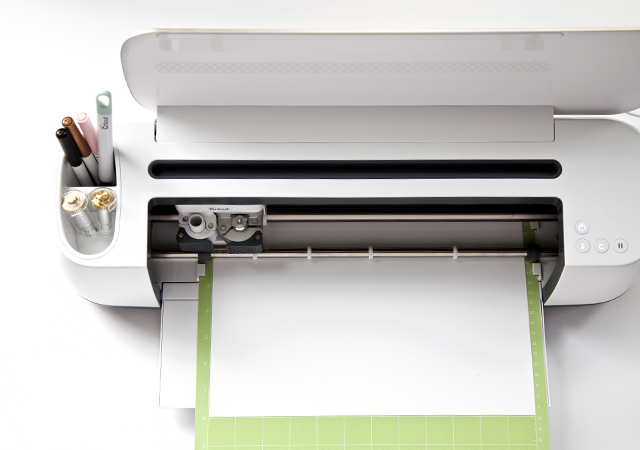 Once the designs are cut and weeded, get your surface ready and plug in your EasyPress. I love my EasyPress 2, in the small 6×7″ size! I use it all the time! This was my first time trying Iron-on vinyl on wood, and I’m so happy with how it turned out! 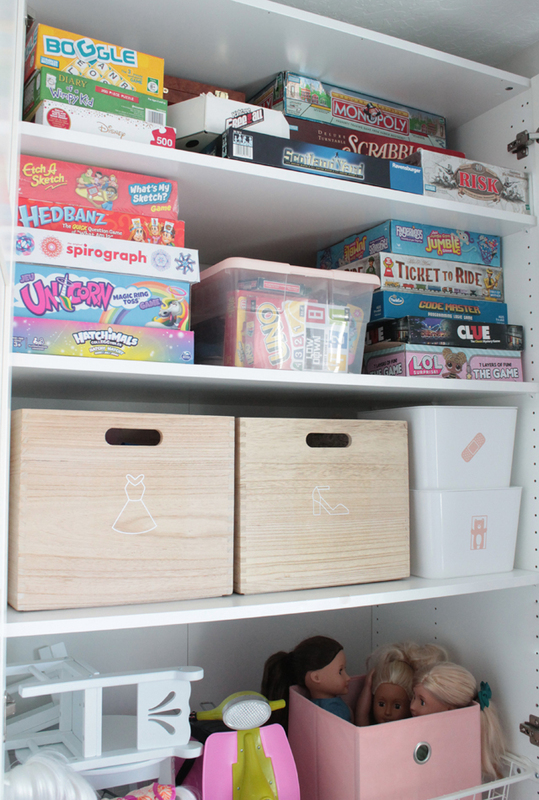 These wooden boxes might be my favorite feature of the new toy closet! 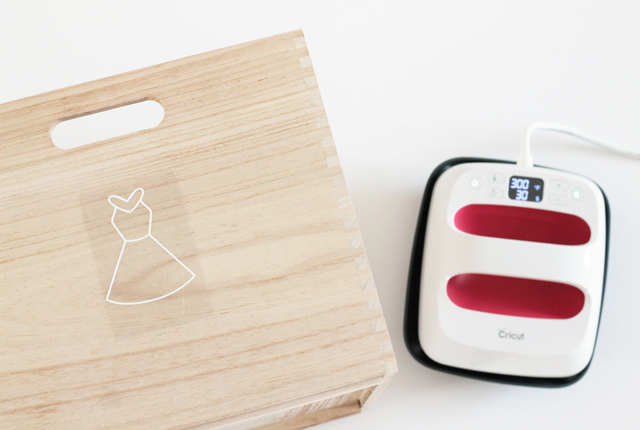 Just think about all of the fun things you could do with iron-on and wood. The possibilities are endless. 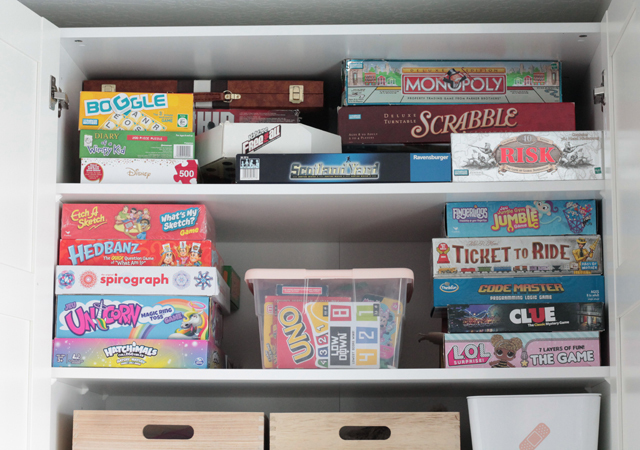 I didn’t change much on the game shelves, other than getting rid of a few old games and puzzles we don’t use, and consolidating several smaller card games, dice, and other miscellaneous items into a bin together. Now we can finally see what games we have and we’ll actually play games more! 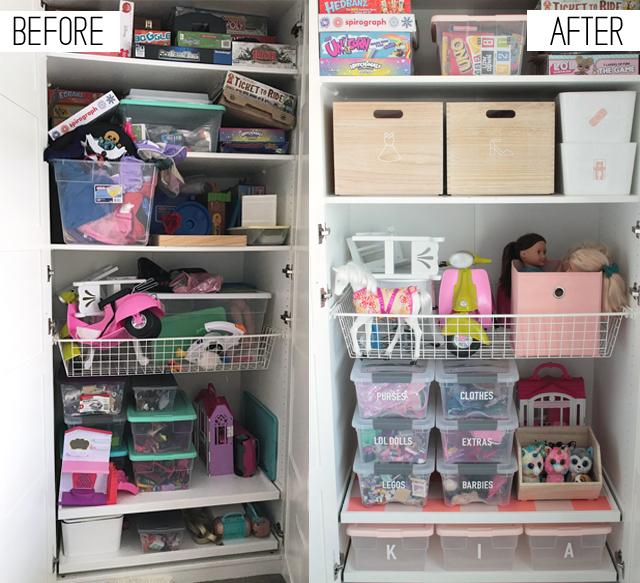 The best part of this closet makeover has been seeing my kids’ reaction and how excited they are! They are being more careful to put away toys in their proper place and I’m a much happier mom every time I come upstairs now! 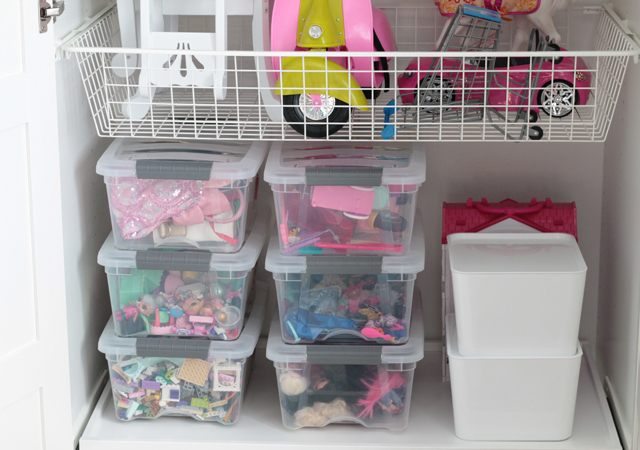 What space in your home do you wish was more organized?